Note: We’ve updated our Slush 2018 post with this event recap. You’ll find the original post after the recap. We were back again this year! The Samsung Catalyst Fund, in partnership with Samsung Strategy and Innovation Center and Samsung Electronics Nordic, took part in one of the world’s leading startup conferences – Slush. With over 20,000 participants, the event brought together tech entrepreneurs, engineers, and visionaries for inspiring talks and networking. Our team had a busy and productive week, including meetings with startups and VCs and a private reception in partnership with Korelya Capital and Sunstone. We were very pleased to have SCF portfolio companies AIMotive and Mapillary joining us in our booth. And we were honored to have our VP and Managing Director, David (Dede) Goldschmidt, be a judge at Slush 100, a competition that has drawn hundreds of applications from 60 countries around the world. The winner of this hard-fought contest was Meeshkan Machine Learning. Meeshkan is a framework for interactive machine learning that helps engineers monitor and train machine learning models faster. The company works with popular frameworks like PyTorch and TensorFlow™ and is optimized for deep learning workflows. All this is accessed through a Slack-powered interface. Congratulations to the Meeshkan team and a big thanks to all the companies who reached out to us onsite and through the matchmaking tool. Our team came home with lots of great new contacts and relationships. At conferences like this, Samsung Catalyst Fund is always looking for new VC partners to connect with and startups to invest in. If you’d like to know where the team is going next and get a chance to be invited to one of our networking receptions, sign up for our newsletter. We hope to see you (again) in 2019! If you’ll be at Slush in Helsinki, December 4-5 2018, and think your startup is a good match for Samsung Catalyst Fund, we’d like to meet you. We will have senior investors onsite that are easy to find through the Slush Matchmaking tool. • Disruptive deep tech that could shake industries, with relevancy to Samsung. • Strong technical expertise, especially in AI, automotive, robotics, data infrastructure, digital health, IoT, cyber security, blockchain, fintech, and Industry 4.0. • Ten or more employees, series A and up. • Nicolas Autret, Investment Director (Europe), based in Paris. 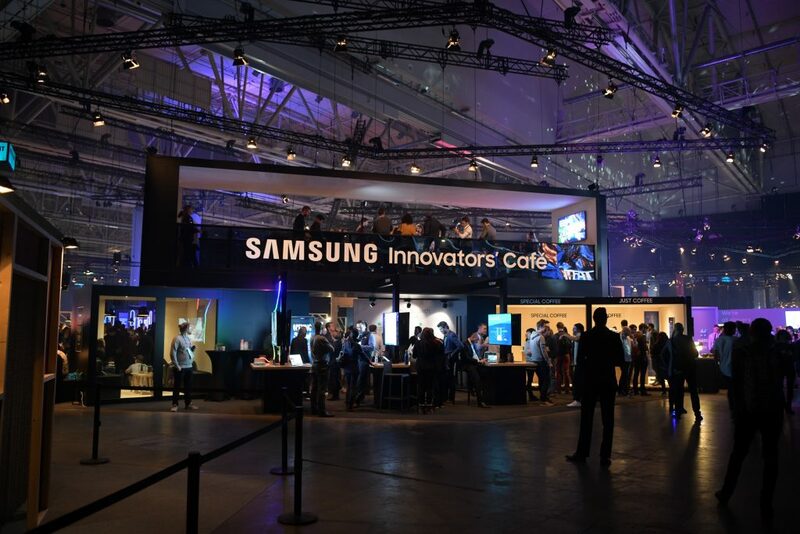 While you’re at Slush, drop by Samsung’s booth located near the Founder’s Stage to meet our team and our portfolio companies AIMotive and Mapillary. AIMotive are a global solution provider of vision-first self-driving technology. Samsung Catalyst Fund originally invested in them in 2016. Mapillary made a name for themselves as the street-level imagery platform, using computer vision to fix the world’s maps. Worth noting: Samsung Catalyst Fund first met Mapillary at last year’s Slush! Learn more about Samsung Catalyst Fund and our team. We hope to see you at Slush in December!